Seven years after its onset, communities across the country are still grappling with the aftermath of the foreclosure crisis: More than 6 million homeowners are still underwater, and local governments are faced with the plague of vacant and abandoned properties and the loss of assets in many neighborhoods. Furthermore, difficulty qualifying for mortgage loans has contributed to an increased demand for rental units, which has resulted in escalating rents in a market already characterized by a shortage of affordable rental housing. Housing affordability is a pervasive problem among renters and owners. About 39 million households spend more than 30 percent of their income on housing expenses and nearly 18 million are severely burdened, paying more than 50 percent. Housing experts have argued about whether homeownership can be considered a viable goal in light of the recent financial collapse. Homeownership is not without risk. Even after the deleterious outcomes of the foreclosure crisis, however, most experts tend to agree that homeownership achieved through safe and responsible lending is still central to American families’ ability to build wealth, especially among lower-income families and people of color. The foreclosure crisis, the shortage of affordable housing, and the credit crunch have brought new attention to one solution that could make sustainable homeownership possible for more families: shared equity homeownership. Shared equity homeownership is a housing choice in which the benefits of home price appreciation are shared between an individual low-income buyer assisted with a subsidy and a public entity providing the subsidy. This represents an alternative to rental housing and traditional homeownership that can help low- and moderate-income families safely bridge the gap between rental housing and traditional homeownership and its rewards. 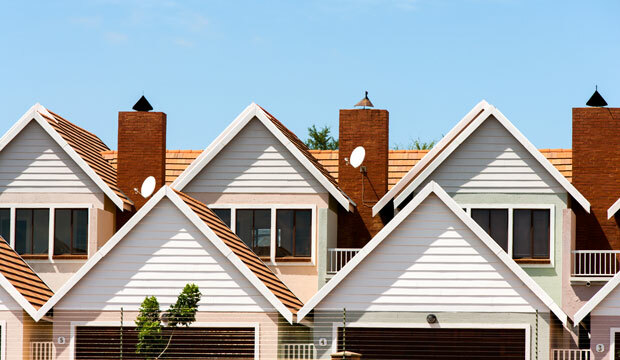 The Federal Housing Finance Agency, or FHFA—which regulates the activities of the government-sponsored enterprises Fannie Mae and Freddie Mac—has recently included shared equity models in its proposed duty-to-serve rule. The FHFA points to shared equity models as an important tool for increasing access to sustainable homeownership, decreasing the likelihood of foreclosure, building wealth, and preserving affordable homeownership. The term “shared equity” refers to a range of models of resale-restricted, owner-occupied housing. In a shared equity homeownership model, the rights, responsibilities, risks, and rewards of ownership are shared by two entities: an income-eligible family who buys a home at a below-market price and a government or nonprofit entity. The latter serves as a steward of the land and protects the affordability, quality, and security of the home long after it is purchased, even in the case of housing market declines. Deed restrictions, community land trusts, and limited equity cooperatives are the most prevalent examples of shared equity homeownership models. Besides providing a safe opportunity for lower-income families to enter the homeownership market, shared equity models ensure long-term affordability and make homeownership more sustainable. Although they are best known for keeping homes affordable in hot markets, shared equity models can also serve as a suitable element in neighborhood revitalization and stabilization strategies. After discussing the notion of shared equity and the main characteristics of predominant shared equity models, this report describes one model type in detail: the community land trust, or CLT. CLTs have the potential to challenge the conventional housing market through their emphasis on the collective ownership of land in perpetuity. This report highlights the mechanisms through which community land trusts provide and protect long-term affordable housing for lower-income families. The report then discusses the CLT model’s potentials and benefits and evaluates the important barriers that affect the capacity and scalability of CLTs. Although CLTs are still evolving and cannot be considered the sole solution to the current shortage of affordable housing, this report shows that they can be part of the solution. This report concludes with policy recommendations that could help the CLT model gain more ground by addressing the important challenges of site acquisition, funding, and mortgage financing. Michela Zonta is a Senior Policy Analyst for the Housing and Consumer Finance Policy team at the Center for American Progress.